Is A Constitutional Carry Vote Coming? The time is now for the Wisconsin legislature to take up Constitutional Carry (S.B. 169) before the long winter break. Michael Bloomberg and his anti-gun cronies are mobilizing as we speak. It is up to gun owners to put enough pressure on our legislature to push Constitutional Carry (S.B. 169) to a full vote in the Senate. You can help to make that happen — more on that in a moment. This year has been an uphill battle to get Constitutional Carry to where we have it now. It was like pulling teeth just to get the legislature to introduce the bill. However, because of your relentless pressure they finally introduced it earlier this past Spring. It was your efforts once again that led to our first ever hearing for Constitutional Carry in the Senate Judiciary and Public Safety Committee on May 31st! Many of you may remember that day. It was nine hours of grueling testimony from pro-gun advocates and additional testimony from enemies of the 2nd Amendment who spread lies and propaganda. And finally, just last month, the same Senate committee voted to pass Constitutional Carry and send the bill to the full Senate on a party line 3-2 vote! It is now up to Senate Leadership in Madison to push the bill to the Senate Floor for a full vote. However, we are now in crunch time folks! The next floor session began yesterday and runs until November 9th. That means we’ll only have 9 days to make this vote happen! Once this floor session is over, the legislature will not hold another floor vote until the middle of January – 2018. The next 9 days are crucial to helping Constitutional Carry get to the next step — a vote in the Assembly! And that’s why Michael Bloomberg and his anti-gun followers are mobilizing everyone and everything they can to stop this vote from happening. In fact, we now know that today, Moms Demand Action and the Wisconsin Anti-Violence Effort organizations will be plotting the destruction of Wisconsin’s Constitutional Carry bill! They hope to crush any hopes that you have of getting this bill to the Senate floor. And they are making contingency plans to amend the bill with gun control schemes should it ever get there. Bloomberg and company have tried this in numerous states. They have failed time and again. They clearly do not understand that the American people are not falling for their anti-freedom propaganda. During the elections of 2016, gun owners crushed anti-gun candidates at the polls. We also crushed anti-gun activists by passing Constitutional Carry in 4 more states. And even here in Wisconsin in recent years, gun owners have made big strides in catching up to other pro-gun states. We defeated gun grabbers in 2011 by passing concealed carry and we defeated them again in 2015 by removing the 48-Hour waiting period to buy a defensive handgun. Now we must crush their spirits once more by getting a vote in the Senate for Constitutional Carry! With 13 states currently enjoying the rights of Constitutional Carry, more are sure to follow their path. Wisconsin can’t afford to fall behind another gun rights battle. That’s why this is no time to rest, despite full pro-gun majorities in both chambers and a Republican Governor at the helm. We can’t assume for one moment that weak-kneed Republicans in Madison are going to be fighting hard to pass pro-gun bills if we just sit back and watch. The Las Vegas shooting should be a stark reminder that some Republicans are willing to cave and give up your gun rights in the face of media scrutiny. We saw it with Congressman Paul Ryan and Senator Ron Johnson both of whom are Republicans. Who knows how many weak-kneed “pro-gun” politicians are roaming the halls of our Capitol in Madison. That’s why we have to stand strong and fight back against the establishment elite in Madison, as well as the gun grabbers controlled by Michael Bloomberg. Gun owners in Wisconsin must be united. We must be the ones who carry freedom’s flag and ensure that generations of our kids and grandkids are not left without the freedoms so many have fought and died for. That’s why there can be no more compromise. That’s why we must pour our resources into this fight! That’s why we need you to become a member of the Wisconsin Firearms Coalition today! Now is the time for you and me to do what is necessary to push Constitutional Carry to the next level. A vote in the next 9 days on Senate Bill 169 would be a historical vote for our great state. But before you do anything else today, we need you to contact Senate Majority Leader Scott Fitzgerald and ask him to schedule Senate Bill 169 for a full vote in the Senate! At the end of the day, we must “leave it all on the field” as they say. Give it everything you have and stand with the Wisconsin Firearms Coalition today! P.S. The next Senate floor session is here, and we are ramping up our efforts to push Constitutional Carry to a full vote in the Senate. With such a crucial vote needed to get this bill to the Assembly, both sides of the fight are gearing up for a massive political battle. 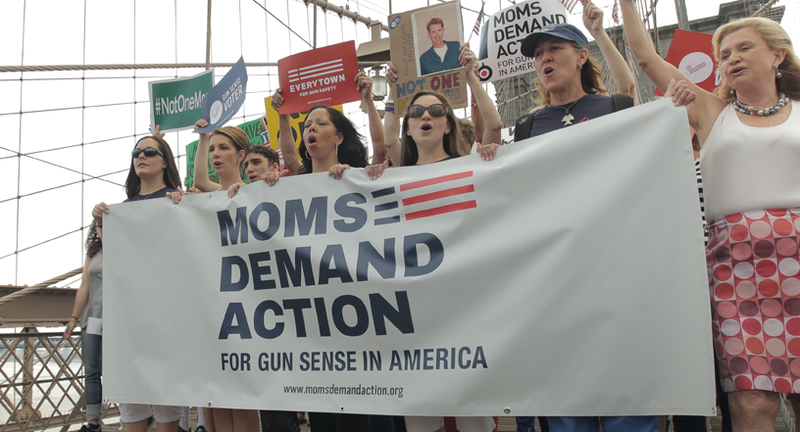 Michael Bloomberg and his crony followers are mobilizing against your gun rights. That’s why we need you to contact Senate Majority Leader Scott Fitzgerald right away and ask him to schedule Senate Bill 169 for a vote on the Senate floor. His contact info can be found above. Are Republicans In Madison Caving?